France in London | The sky has fallen on your head! Do I have a claim? The sky has fallen on your head! Do I have a claim? At this time of year, we all have to make the choice between staying in England and eating large quantities of Christmas pudding or travelling to another country. For those that decide upon the latter course, it is necessary to determine the type of transport they will use. All of the types of transport available are expensive (indeed it is that time of year!) and not necessarily very reliable. Leaving aside delayed trains (leaves on the track) and long ferry trips (that feel even longer on a choppy English Channel), travel by air is often chosen because it is the quickest and seen as one of the most reliable forms of transport. Nevertheless it is far from perfect. Two of the major problems that can be encountered when travelling by air are delayed flights/cancellations and accidents on board the aircraft (or whilst embarking or disembarking). 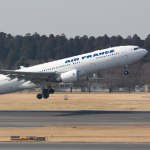 When those problems arise, is it possible to obtain compensation from the airline? 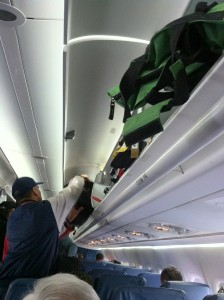 · Luggage falling from an overhead luggage compartment (due to the fault of an air hostess or another passenger). There are therefore many events that can lead to a claim for damage. The Convention is very helpful for passengers insofar as it is not necessary to demonstrate that the airline was at fault but simply that you were injured on board the aircraft as a result of an accident. A passenger is entitled to compensation when the employees of the airline have been guilty of negligence, or when the injury was directly attributed to the behaviour/the actions of one of the passengers but also simply as a result of the inadequate flying of the aircraft. Also, it is very important to note that the Convention also specifies that the airline will indemnify a passenger if the passenger has an accident and injure himself whilst in the process of embarking or disembarking. The definitions of embarking and disembarking are very broad and it is often possible to pursue a claim despite being at the airport rather than on board the aircraft. Further, a passenger has the possibility of pursuing his/her claim before the English Courts whichever country he/she is going to and/or is going to stop over in. Indeed, it is sufficient that you are resident in England to pursue your claim through the English courts. This is important as the advantages of bringing a claim in the English Courts are numerous. Damages are higher (compared to other European states), the procedure is more simple, quicker and the means of funding of claims are more flexible. The majority of legal costs and expenses are recovered from your opponent in case of success and there exist different forms of funding. If your claim has prospects of success, there are ways of being assisted by being offered a Conditional Fee Agreement under which you have nothing to pay should your case fail. If your claim succeeds, you will simply need to pay a success fee agreed between you and the company you used and cannot in any event legally exceed 25% of the damages you obtain. In summary, if you injure yourself as a result of an accident on board an aircraft or whilst embarking/disembarking it is very likely that you will be able to pursue a claim for damages against the airline and some legal firms can help you with this. Airlines are obliged under European legislation to compensate their passengers in case of cancellations or delayed flights of more than 3 hours (relative to the scheduled arrival time of your flight). Damages can be claimed for €250 minimum to €600 maximum. The airline can only refuse to pay if the flight was delayed due to extraordinary circumstances such as bad weather or strike action. 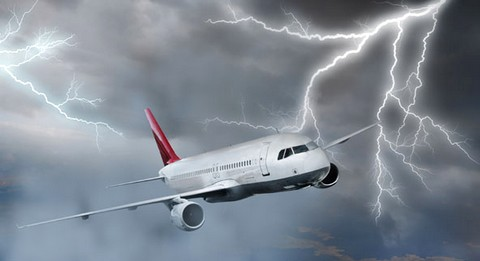 Therefore it is very often possible to obtain damages from the airline if there has been a cancellation/delayed flight and firms can advise you on how go about it for a fixed fee. Their firm, Pierre Thomas & Partners, is constituted of a team of bilingual lawyers (French/English) which are available to advise and discuss any claims you wish to pursue.